Grab your spooky sneakers, your coolest costume, and hustle your way towards a Happy Halloween! Join us on Saturday, October 29th for the 3rd Annual Keller Williams 5K/Fun Run benefiting the Children's Advocacy Center of Denton County. This year we're partnering with The Shops at Highland Village and Luke's Locker for a Halloween Hustle, sure to be a terrifying trot full of tricks AND treats for all, with proceeds going directly to help provide justice and healing for abused children in our community. This is a USTAF sanctioned event. Grab your spooky sneakers, your coolest costume, and hustle your way towards a Happy Halloween! Legs too short to manage a 5K, or just feel like a quick walk in the park? Our Fun Run is for you! At only 1 mile long, this costume-friendly, holiday-themed outing offers all the treats of the 5K with none of the tricks of the longer distance. Perfect for families with young children, it's free for those who register for the full 5K but want to participate with kiddos first. Fun Run only cost is $10, and just like the 5K, all proceeds go to benefit families in our community served by Children's Advocacy Center of Denton County. Grab your spooky sneakers, your coolest costume, and hustle your way towards a Happy Halloween! Not sure how you will complete your first 5k, or ready for that next PR? Our 9 weeks to 5K with 5K Fun Run is made for you! Meet with the Luke’s Locker trainers every Saturday at 7 a.m. and run the 5K Fun Run on Oct 29th. Luke’s provides a complete weekly 5K training schedule with live group coaching every Saturday. 9 weeks to 5K Fun Run only cost $70 and includes a full 5K training plan and the 5K Halloween Hustle Run or Walk. 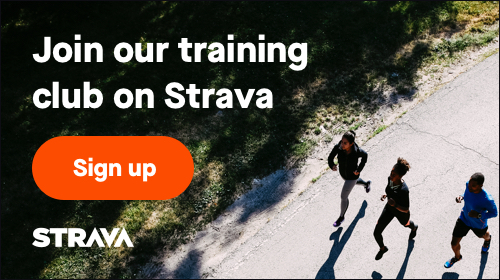 First training run is 8/27, but you can join up until 10/1.